The Center for Future Consciousness offers educational experiences that challenge and stimulate the mind, expand conscious awareness, empower creativity and imagination, deepen knowledge and understanding, enhance ethical character, and promote personal and social growth. Our mission is to facilitate the purposeful evolution of humanity through the heightening of future consciousness and wisdom. 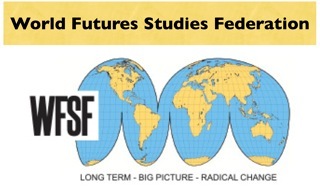 Tom Lombardo is an awarded Fellow of the World Futures Studies Federation, a special honor given to members who have made a globally recognized, significant and original contribution to futures studies. 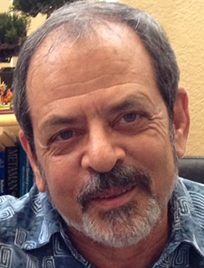 He is also an Executive Board member of the World Futures Studies Federation. A concise analysis of contemporary global problems and a focused solution based on the development of character virtues, wisdom, and future consciousness. An evolutionary and transformative journey through the history of science fiction from the innermost passions and dreams of the human spirit to the farthest reaches of the universe, human imagination, and beyond. How do our unique conscious minds reflect and amplify nature’s vast evolutionary process? Future Consciousness reveals how we can flourish in the flow of evolution and create a good future for ourselves, human society, and the planet. The Center for Future Consciousness focuses on three broad and interconnected areas in our study, research, and educational events: Consciousness, Wisdom and the Future. Understand and strengthen all those psychological abilities and character virtues essential for developing a more constructive, empowered, and creative approach to the future. Understand the psychology of heightened future consciousness and why it is essential to your personal development, realizing the good life, and flourishing in the future. Create an ideal future self-narrative to guide your personal future. Gain a consciousness-expanding understanding of the nature and evolution of science fiction, the most visible and influential form of futurist thinking in contemporary culture. Why is science fiction so popular? Why are narrative and myth central to the human experience? How does science fiction provide myths and narratives for the future? Journey from the ancient Greeks to contemporary cosmic narratives in this comprehensive overview of science fiction. Gain a holistic understanding of the present capacities and potential future evolution of consciousness and the human mind. How are mind and consciousness, biology and brains, and emerging technologies connected? What is the relationship between consciousness and the evolutionary universe? Achieve a broad overview and understanding of both classical and contemporary perspectives on the self and mind and the evolutionary nature of consciousness. Become more informed and thoughtful about the future, including both scientific-technological and psycho-social dimensions, heightening your understanding of trends and possibilities, challenges and opportunities, preferable directions, and theories and paradigms of the future. Examine diverse perspectives on the future of life and the environment, bio-technology and medicine, robots and computers, space exploration, religion, love and marriage, culture, and urbanization and society. Consider how your future personal life connects with the big picture of the future. Gain an understanding of the nature of wisdom, from both classical and modern sources, and understand why wisdom should be the central goal and ideal of education for the future. Why is wisdom critical to creating a positive future? How can we implement a wisdom-based, future-focused approach to education, facilitating the emergence of a wise global society and the growth of wise cyborgs for the future? 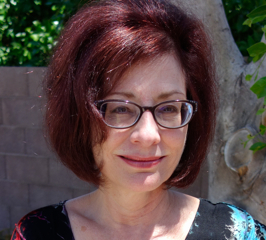 Director of the Center, Tom Lombardo, Ph.D., and Co-Director, Jeanne Belisle Lombardo, M.A., are experienced educators, presenters and workshop facilitators. They are regular speakers at the World Future Society conventions and other conferences, as well as at various colleges and educational institutions, nationally and globally. 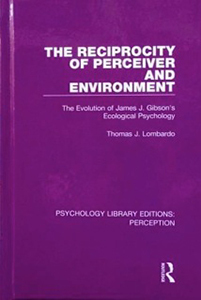 Dr. Lombardo is the writer of numerous books and articles in psychology, philosophy, education, and the future. The Center for Future Consciousness also has a network of fellow faculty, educators and futurists who serve on the advisory board. We provide a wide range of educational materials including articles, books, videos, and website resources on consciousness, wisdom, and the future. 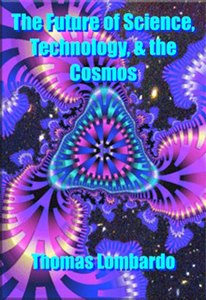 Link to the tabs at the top of this webpage to access articles, books, and web site resources for each topic identified above, such as Future Consciousness, Science and Technology, Society, and Science Fiction. Explore our futurist print bibliography, website resources, and recommended books in our Library. 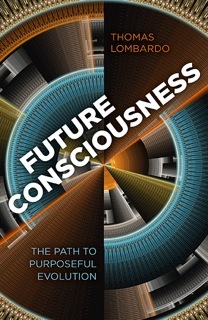 The Center for Future Consciousness sponsors and supports The Wisdom Page. We publish a combined newsletter for the two sites, including relevant essays on wisdom, consciousness, and the future. Our educational events and publications include contributions from both institutes and their respective teachers, writers, and advisory board members. Contact us for opportunities to get involved and/or donate to our cause. All text contained within this website and all images contained in The Futurist Art Gallery are the copyright of Tom Lombardo and Jeanne Lombardo. Reproduction is strictly prohibited by law.